Dying of dysentery is something kids (and adults) who played computer games in the 1980s will most likely remember. 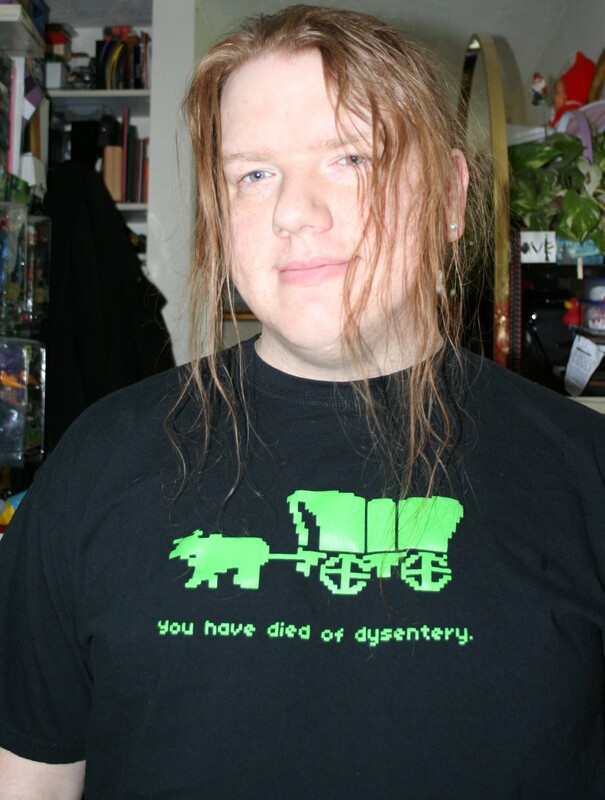 The Oregon Trail was a game in which you followed the … wait for it… Oregon Trail! Cori’s mom would take her to the library to use the computer there. The Oregon Trail and Typing Tutor were the two games they played. Cori learned “asdf jkl;” quite well. The rest she filled in later when she started spodding on talkers. The OT game reminded Cori of Choose Your Own Adventure Books. Cori didn’t realize at the time that she was learning history while playing the game, but the lessons learned have stuck with her.